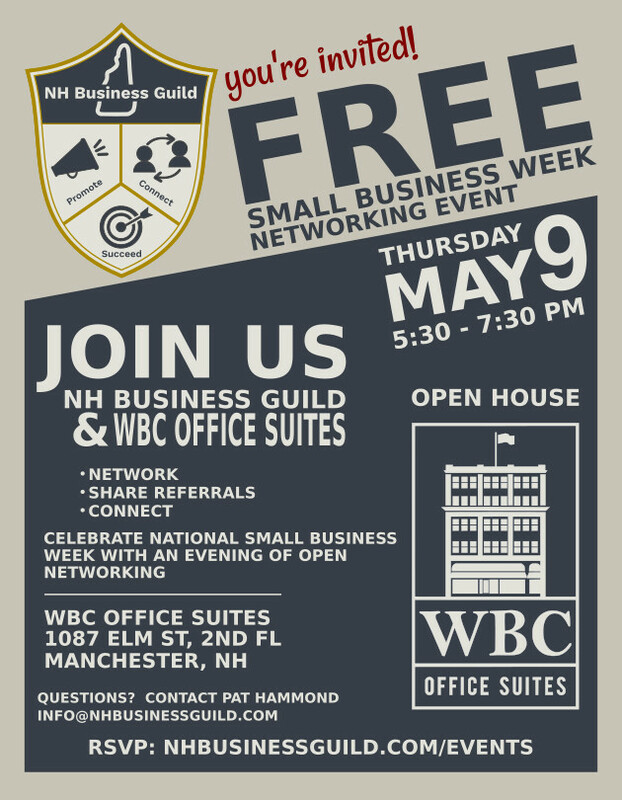 We are an organization of New Hampshire business owners, managers, and solopreneurs who are tired of the status quo. The guild is the perfect blend of old school business and digital marketing at a price anyone can afford. Our motto is Promote - Connect - Succeed and all of our platforms and programs are designed to help you do that. In fact, we have so much to offer we've filled an entire edition of Flackery magazine with all the benefits and features of benefits. 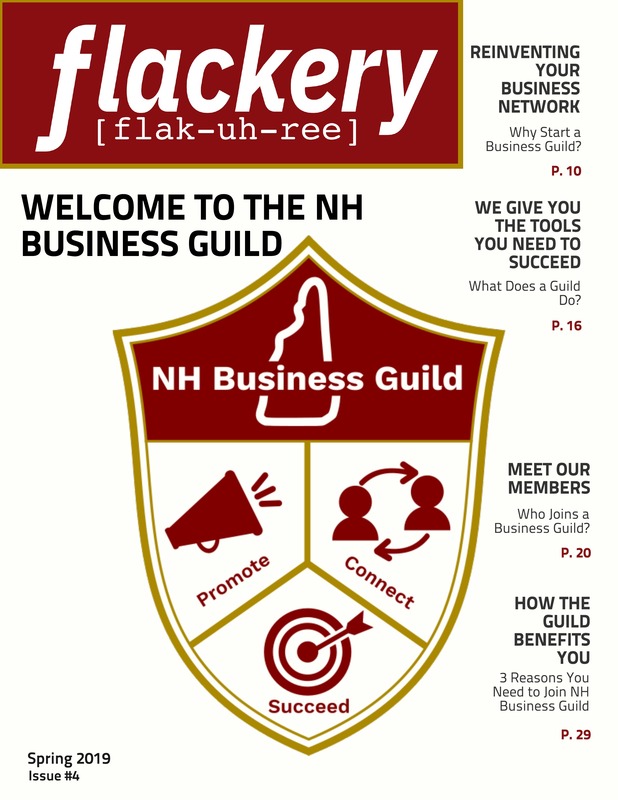 Click on the Spring 2019 issue of Flackery above for more information about how NH Business Guild can help you reach your business marketing goals. My work - which sometimes includes writing - has appeared since 2004 in print throughout southern New Hampshire, the Merrimack Valley and North Shore/Cape Ann in Massachusetts, and occasionally in other publications around the country and regionally including in the Boston Globe, Nashua Telegraph, Lowell Sun, and Union Leader, where I now work part-time, New Hampshire Business Review, and additionally with New Hampshire Public Radio. Flackery - Summer Issue: Deadline for content, ads, and Your Words, Your Way content is 5:00 PM, Friday, May 3rd.